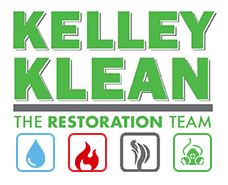 Kelley Klean is a full-service restoration company that can take on any project your property needs. Whether we are mitigating fire damage, cleaning up a flood on your property, dealing with bio-hazardous situations, or simply clearing out junk, we can be your contractor of choice. Certified by the IICRC in Water Damage, Smoke & Odor, Trauma Restoration, Upholstery Cleaning and Advanced Structural Drying, Kelley Klean has made a commitment to ensuring our staff and team of technicians are properly trained. With experience handling all types of commercial, residential and industrial property losses over the years, Kelley Klean can be the contractor of choice for any unique situation that you encounter. If you would like to speak with one of our representatives directly, give us a call at 573-214-0990. At Kelley Klean, we offer a 100% satisfaction guarantee. Our goal is to ensure you are happy with the finished product, and will not leave your property until you are completely satisfied. If you are experiencing a loss where your insurance company needs to become involved, we can handle those communications directly. We have built strong relationships with many of the local insurance adjusters and will provide all supporting documentation necessary to keep your claim moving. Documentation such as drawings, photos, sketches and moisture readings all support the restoration strategies we put in place to help you get reimbursed quickly. Kelley Klean offers a wide variety of services. If you need a service relating your property, chances are we can do it. Simply give us a call and we can identify the unique needs of your situation, and develop a plan to get the job done. Our goal is 100% customer satisfaction. This goal is the foundation of our growth and success over the past 30 years. In providing quality customer service, we have found that a few key principles have set us apart. When you choose Kelley Klean, rest assured, you will experience these principles when we take on your project. At Kelley Klean, we are available 24 hours a day, 7 days a week and 365 days a year for emergencies. We have a team of trained dispatchers on-hand to take your call no matter what the time. An emergency at your property requires a fast response for a reputable company. At Kelley Klean, we can get you up and running in very little time between when you call and when the project is finished. We are not always the only company you call, and that is why we ensure we offer competitive estimates as quickly as possible. At Kelley Klean, we understand that the first step in providing excellent customer service starts at the quoting process. 100% satisfaction is key to our growth. When we take on a client, our goal is to keep them for life. In order to do that, we will never leave a job without first receiving sign-off of a job well done. In order to provide you 100% satisfaction, the quality of our work needs to be impeccable. That is why we train our technicians to adhere to every detail; leaving your property looking as good or better before the property loss occurred. There are many different steps to the property restoration process, and at Kelley Klean, we ensure that you are informed every step of the way. Not only will we keep you informed, but if an insurance company is involved, we will communicate directly with them as well. If we can assist you with damage to your property, our trained staff is standing by to take your call. Regardless if you have a question, would like a quote for our services, or would like to discuss your unique situation, please give us a call at 573-214-0990!